Are you looking for a vacuum cleaner that can withstand constant use in a busy household? Or how about a vacuum that can tackle even the toughest to clean carpets? 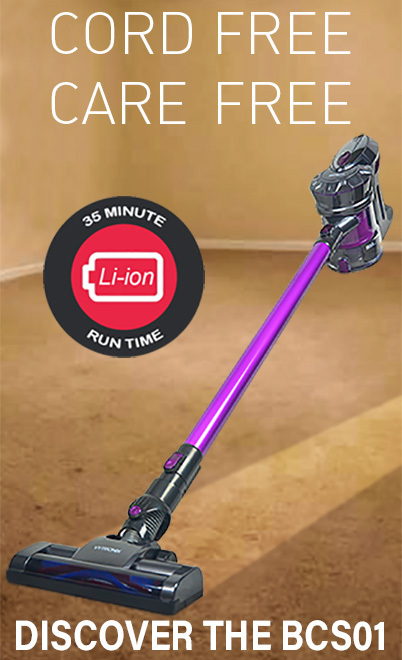 A vacuum cleaner from Vytronix could be the perfect choice. Built for every day use, Vytronix vacuum cleaners are sleek and compact. They offer convenient home cleaning and are great for transporting around the home. You can choose from two models, including a bagged and bagless option. Both feature high power motors designed for strong suction power that leaves your carpets noticeably cleaner and a large 2L capacity so you don’t have to waste time emptying the dust before every single vacuuming session. If you have large rooms in your home then you’ll know the struggle of your vacuums cord being just too short to reach. However, with the 5-meter extra reach power cord length, you can speed up the cleaning process. Not only that, but Vytronix vacuums include a 2 in 1 crevice nozzle so you can effortlessly clean any upholstery in your home. Banish dust and dirt from curtains, rugs, cushions and more with ease. Weighing only around 4.5kg, these vacuum cleaners are so lightweight, anyone can easily use their Vytronix up and down the stairs without having to struggle. And the good news doesn’t stop there! The fantastic price point from Direct Vacuums means that anyone can budget for one of these vacuums. Prices start as low as £34.99, so Vytronix vacuum cleaners are perfect for first time home owners or anyone looking to replace their old hoover for less. Discover the power of Vytronix below. Whichever model you choose, you can rest assured that you’ll be getting a high-performance vacuum without the high cost.